Crown Oil has been a leading red diesel supplier in Preston for over 65 years. 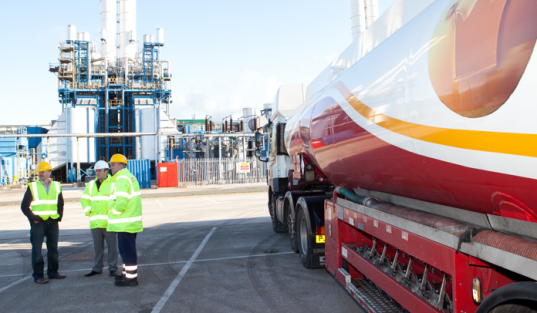 We’ve worked hard to maintain a reliable fuel delivery service in the North of England and we now supply gas oil, diesel and more fuels nationwide! Not only are we a reliable gas oil supplier, with huge availability and punctual deliveries, but we also offer some of the most flexible payment terms in the industry. This means you can fuel your business today and pay us when it suits you most! We offer bulk red diesel deliveries of 500 litres to over 36,500 litres to help fuel any project, or you can order a 205-litre barrel of red diesel for smaller requirements. Either option comes with the added assurance of same-day and next day deliveries if you need gas oil urgently. Whether you’re ready to make a purchase of gas oil in bulk, by the barrel or need some advice before making an order. Call us today on 0845 313 0845 and one of the team will be able to help and advise you. Preston, known as the centre of Lancashire is a busy northern town with a great University and a successful football club, Preston North End (nicknamed Lilywhites). Located next to the River Ribble, it boasts beautiful scenic hotspots as well as shopping centres, Preston Docks and local nearby parishes which come together to create the City of Preston. Due to the ongoing construction, agriculture and horticulture in the region, there’s always a lot of demand for red diesel across Preston. With boats and homes also requiring gas oil for heating, red diesel is a much-needed fuel source to many. Buying red diesel is cheaper than you’d expect, due to its lower tax duty, compared to the regular white diesel (road diesel) purchased at the fuel pumps. Due to the regulations surrounding it, it’s important to ensure it’s only used within vehicles and equipment that are legally able to use it. For advice on its uses, our team can offer advice on this, or alternatively, you can contact HMRC directly who will be able to advise you on the legal uses for red diesel. If you would like to learn more, or place an order. Call us today on 0845 313 0845 and speak to one of our friendly team.